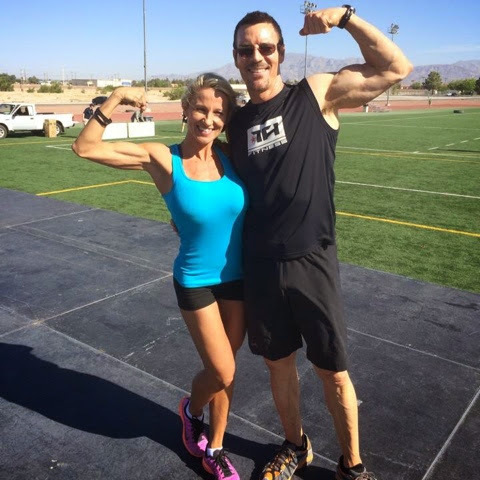 Ready to start your health and fitness journey? Join one of my upcoming challenge groups today! Blackberries have one of the highest antioxidant levels of all fruits, and their seeds are packed with fiber. Enjoy them in this delicious salad! 1. Combine vinegar, honey, and shallot in a small bowl; whisk to blend. 2. Slowly add oil, whisking continuously, until blended. Set aside. 3. 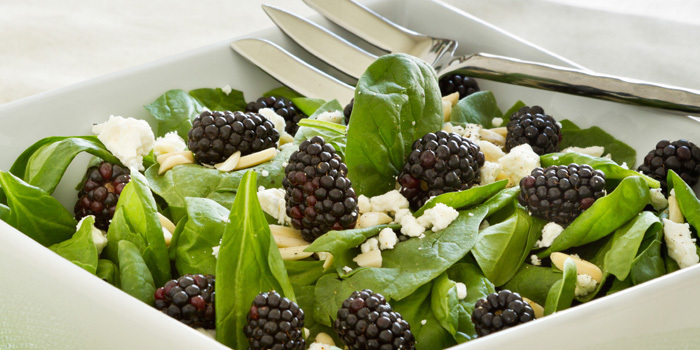 Combine spinach, blackberries, cheese, and almonds in a large serving bowl; toss gently to blend. 4. Drizzle salad evenly with dressing; toss gently to blend. 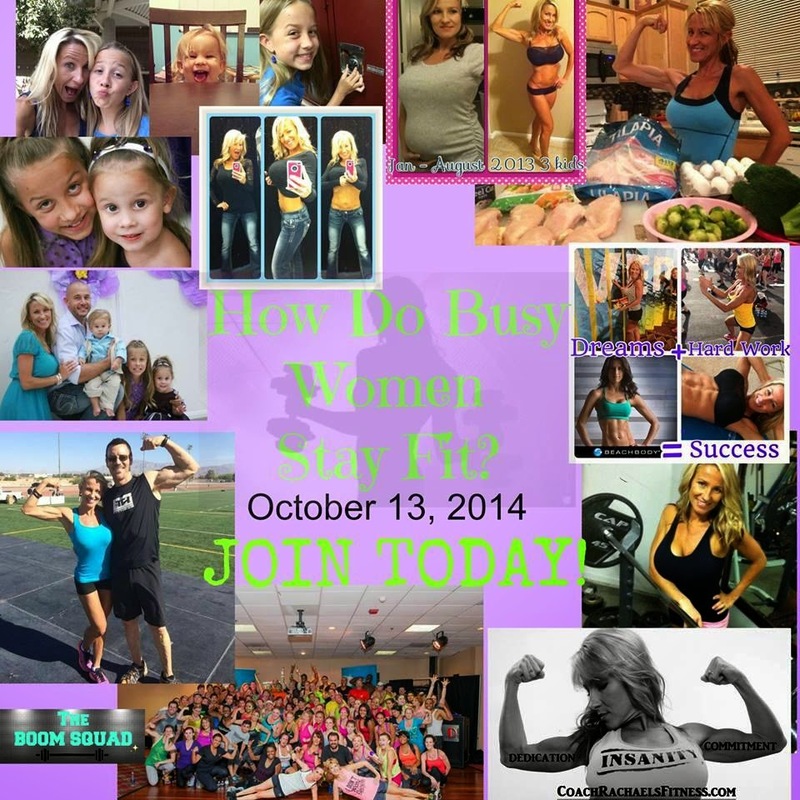 How do busy women stay fit? So excited its finally here!!! Tomorrow is the launch of my new project that is near and dear to my heart. "How Do Busy Women Stay Fit?" Challenge Group. Accountability & Support to stay fit this fall. I've been practicing what I preach and I'm getting my own family in order this week! It's been the first week of school, Middle School orientation, school clothes shopping, I have had a ton of meetings, Coach calls, a ton of catch up to do from being on vacation and a house full of laundry to do! This momma has a to do list a mile long. 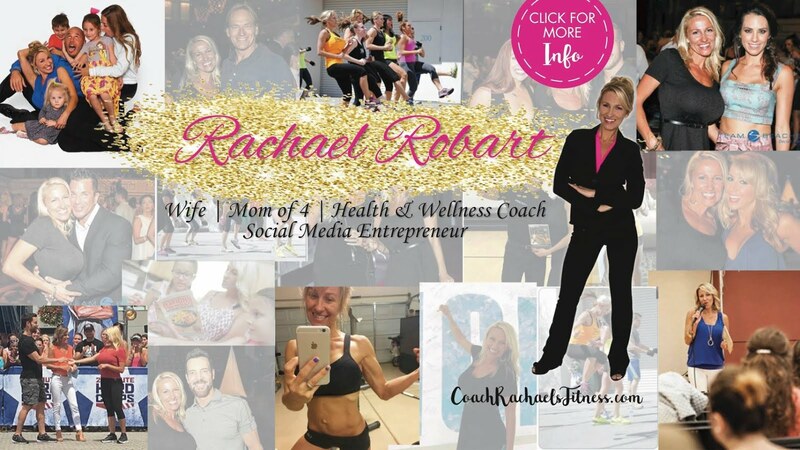 It would be easy for me to let my workouts and my nutrition slack.... right! We always want to put others before ourselves, but in reality when you give yourself 30 minutes a day to workout and eat healthy then you are able to accomplish more on that to do list.
" If the oxygen masks come down you are to put it on yourself FIRST before your children or anyone else." As mother's we tend to put ourselves last. BUT if you want to be the best mom possible for your family you need to take time each day for yourself.... NO MATTER WHAT, DON'T MAKE EXCUSES! YOU ARE WORTH IT and when something means alot to you , then you will find time for it! No more excuses, if you want to change I will give you the tools to make it a lifestyle change. Want to try Heaven in a cup? This smoothie’s vibrant color comes from antioxidants in the pomegranate juice and blackberries. And, it’s loaded with protein! 1. 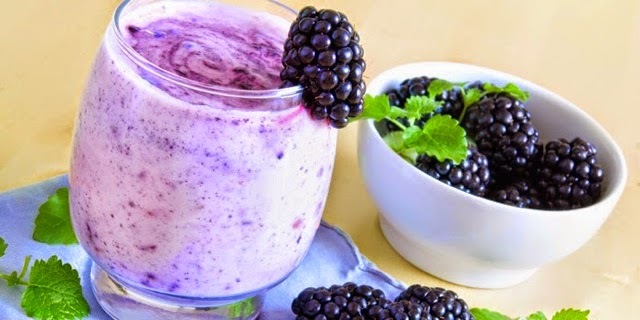 Place water, pomegranate juice, yogurt, Shakeology, blackberries, basil, and ice in blender; cover. Blend until smooth. Omega 3s are polyunsaturated essential fatty acids, and walnuts contain the alpha-linolenic (ALA) form—over 150% of the Recommended Dietary Allowance (RDA), in fact. 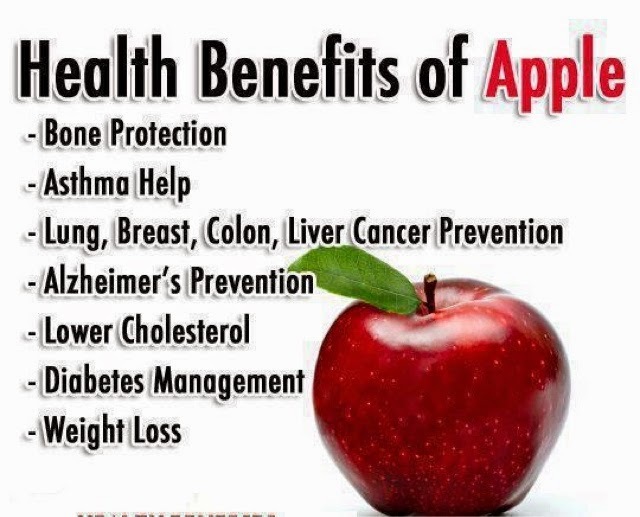 Benefits include decreased LDL (bad cholesterol) levels, increased HDL (good cholesterol) levels, and a possible reduced risk of heart attack. This B vitamin plays a key role in lowering homocysteine—an amino acid associated with conditions like heart disease, Alzheimer’s disease, and dementia. Low folate levels have also been linked to depression, anemia, and even hair loss. - Runners-up: That’s it. 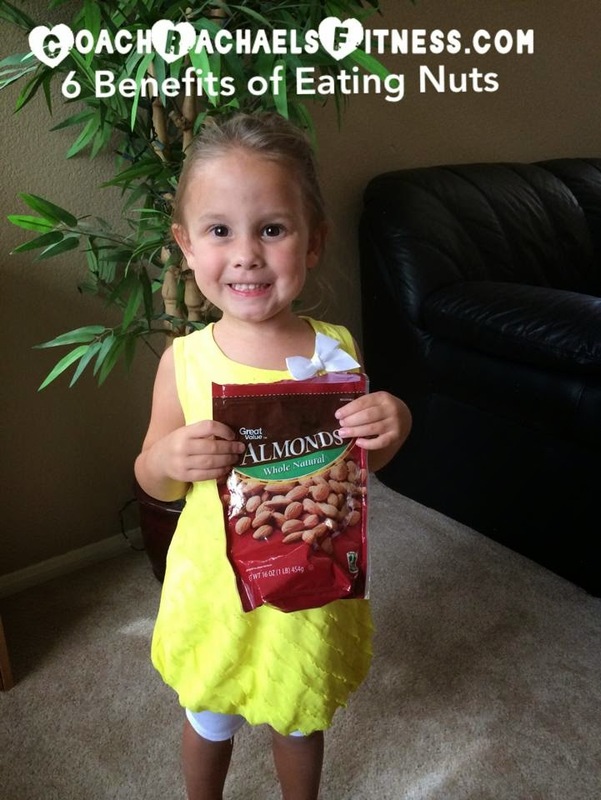 Pistachios are the only nut containing lutein and zeaxanthin in significant quantities. Nuts are a fantastic source of this vital energy for vegetarians—and anyone else. According to the Harvard School of Public Health, eating nuts instead of red meat once a day can lower the risk of type 2 Diabetes 16 to 35%. 3 things you can do to improve your diet. Do these 3 things and your diet will get better. They might be obvious yet, in my experience, many people have trouble following the basics. I guess we’re all wired differently and, thus, we vary in what clicks for us mentally when it comes to instruction. But I can’t tell you how many diets I’ve analyzed that weren’t “working” that were focused on, say, gluten or Paleo or some other trend-of-the-year but weren’t focused on these three simple components. If you want to lose weight, adopting these three methods is absolutely vital no matter how you’re eating, be it high protein, high carb, high fat, or high fruit. Most people overeat because they’re dehydrated. Drink two glasses of water every morning and keep on going throughout the day. 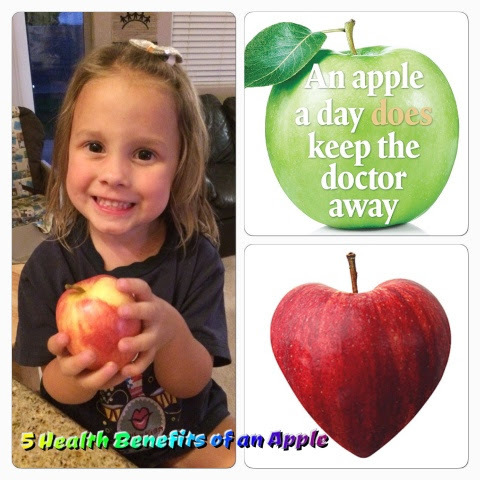 A good gauge is to aim for half your body weight in ounces each day. Or, shoot, just make it an even gallon. You’re unlikely to drink too much, and I’ll bet you drink too little. You’ll be amazed how much better you feel and function when you’re properly hydrated. Most of us know where our diets are going south. We eat too much packaged junk, desserts, fast food, and cheap beer. Like, way too much. Stats show we get more than 10% of our calories from soda, fast food is a jillion-dollar industry, ampms are way more popular than farmer’s markets and we drink more beer, per capita, than the country that invented it. Yet, we have an insatiable appetite for answers to our issues that aren’t (quite literally) right in front of our face. Instead of worrying about eating like a caveman or whether or not you’re allergic to gluten, try cutting the crap out of your diet and see what that does for you. Chances are you’ll never have to suffer through a diet book again.